It’s my last night of a whirlwind business trip to Austin, Texas. I’m a thousand miles from anyone I know, I’ve slept for approximately six of the 48 hours I’ve been here; I’ve just started my period; and truth be told, I’m a little bit hungover. All this considered, my skin isn’t looking its best. In fact, it’s safe to say my complexion is at an all-time low. At 6 p.m., I have a facial scheduled with celebrity esthetician Renée Rouleau. It can’t have come at a better time. My chin is covered in hormonal blemishes. The skin on my nose is flaking off like a snowstorm. And worse of all, my complexion is so tired and dull that it almost looks gray. “I look like a zombie,” I tell Rouleau. “I swear it’s not normally this bad.” Naturally, my skin has muted yellowish undertones, and it rarely looks as glowy as I want it to. But this time, it is bad. I am in desperate need of help. And I would pay hundreds of dollars to get it. Luckily, I don’t have to. During my facial, Rouleau (who has exceedingly glowy skin, by the way) extracts my pores, gives me a luxurious seaweed mask, and performs a few other high-tech treatments. Then, she tells me something that will change my glowy-skin game forever. “You have slightly poor circulation,” she says. “That’s what’s preventing you from getting that lit-from within glow.” Rouleau’s fix? Hang upside down for three minutes a day. “Seriously, it works,” she promises. “You can do it against a wall or during Downward Dog in yoga, or simply hanging your head over the side of your bed.” No dollars, skills, or products required. Shockingly simple, I know. But how is it possible? To find out how hanging upside down is actually the secret to glowy skin, keep scrolling. According to Rouleau, less-than-fabulous circulation is a major cause of dull skin. Hanging upside down once a day coaxes blood flow to the face just enough to inspire that coveted youthful flush. Three minutes is how long it takes for you to notice a subtle pinkiness appear. Long-term, regularly hanging upside can make a big difference in helping you create and maintain your glow. “Anytime you are increasing blood flow to the face you are delivering nutrients and oxygen to the cells of the skin,” Rouleau explains. More than any topical cream, blood infuses our skin cells with essential nourishment. What occurs with age (or in my case just naturally—lucky me!) is a decrease in blood flow and oxygen in the body. “Oxygen is what makes the blood turn red,” Rouleau explains, “so with poorer circulation and less oxygen, the result is pale, lifeless skin that has a hard time glowing from within.” Women with medium and olive skin tones often struggle with dullness as well, because their skin tends to be slightly thicker. This makes it harder to see the rosy blood flow underneath. Rouleau says that you can tell when someone has great circulation by their skin’s underlying pinkness (for lighter skin tones) or redness (for darker skin tones). But there’s a fine line between good circulation and overcirculation. Genetics has a lot to do with this. “Certain skin types, particularly fair skinned and those with Scottish, Irish, and Scandinavian heritage are prone to having overcirculated skin,” says Rouleau. This shows up as visible capillaries, redness, and rosacea. “Add in a glass of wine, a hot shower, and a workout, and the skin can appear beet red,” she says. If you have an overcirculated skin type, it’s best to skip the upside-down technique. If you still can’t quite tell whether your circulation is good or bad, here’s a quick trick: When you’re not wearing any makeup, take your thumb and forefinger, and gently pinch the apples of your cheeks five times in a row (you know, how your grandma used to do). “If no pinkness shows up, your skin is more than likely undercirculated,” says Rouleau. If your skin turns slightly pink, you have good circulation. But if the skin turns fire-truck red, you’re probably overcirculated. “The goal with is be right in the middle,” says Rouleau. After Rouleau's facial, I couldn’t wait to get hanging. I am all about a quick (and free) fix, so when I got back to L.A. the next day, I made a beeline to my bedroom. I draped my head over the edge of my bed for three minutes. When I was done, I got up and raced to the mirror. There it was—the pinky glow my skin was sorely missing. In the months since visiting Rouleau, I’ve worked three minutes of upside-down time into my nightly routine. It’s truly the easiest exercise in the world, and I promise my complexion has never looked healthier. Other glow-inducing habits? Rouleau recommends supplementing your upside-down routine with facial massage, hot showers, and physical exercise. 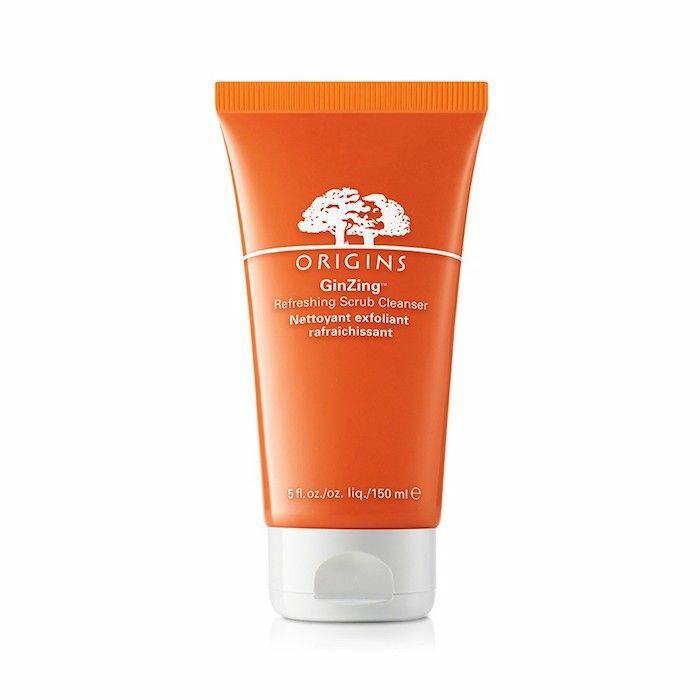 You can also try working circulation-boosting products into your skincare regimen, like Rouleau’s Mint Buffing Beads ($32) and Origins’s GinZing Refreshing Scrub Cleanser ($20). But when in doubt, on those days when your skin looks like as zombie-ish as mine did on that fateful day in Texas, simply flip over the side of your bed or pop into Downward Dog. After three minutes, race to the mirror and behold your rosy glow. 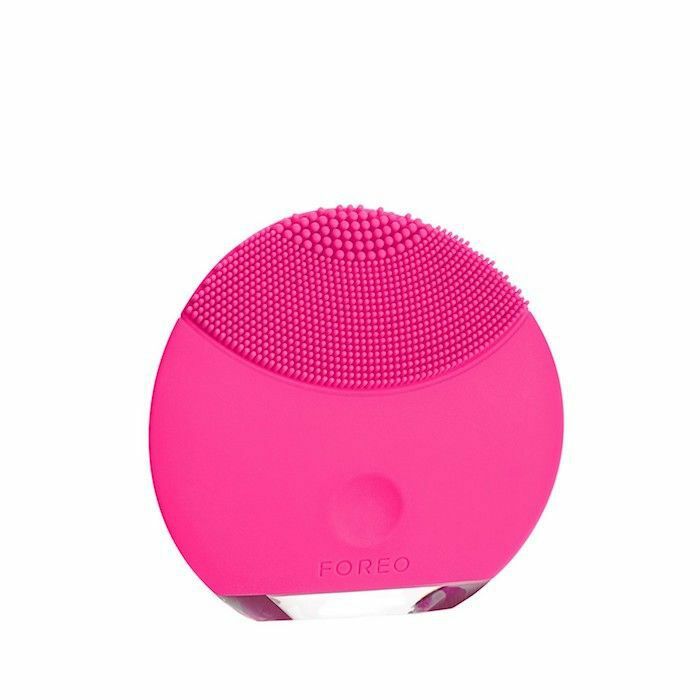 Shop our favorite products for better circulation below! Next, don’t miss how one editor permanently removed her under-eye bags.